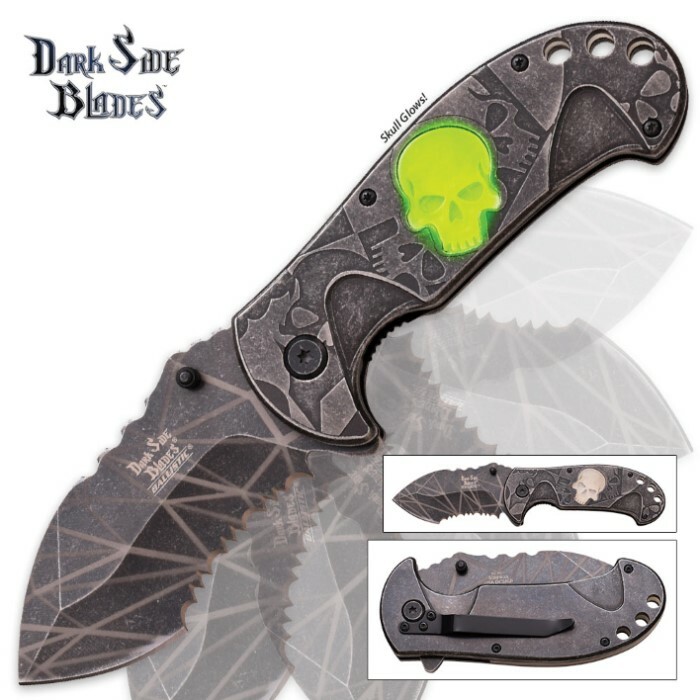 Glow In The Dark Skull Stonewash Folding Pocket Knife | BUDK.com - Knives & Swords At The Lowest Prices! Dark Side Blades always comes out with the most striking designs for their knives. They really specialize in head-turning and unique pieces that border on artwork. 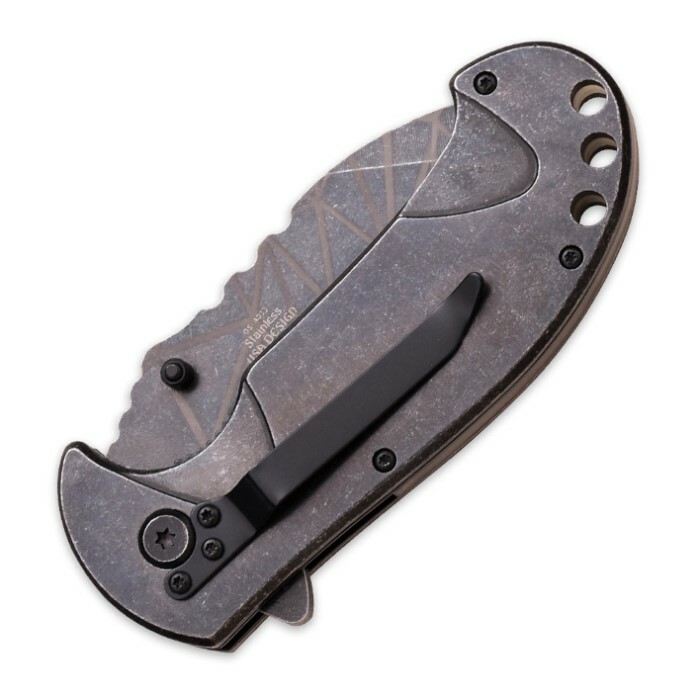 This spring assisted opening folding pocket knife has a 3 1/4” stainless steel partially serrated blade with a stonewash finish. 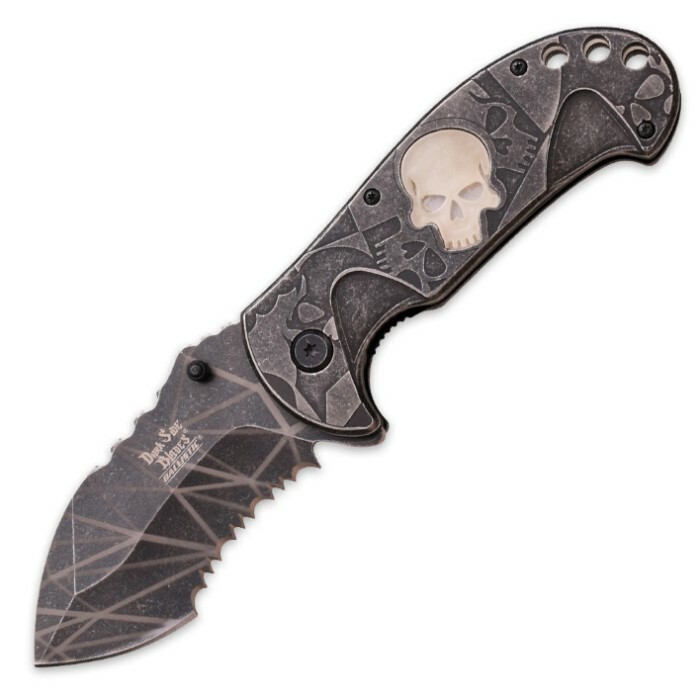 The handle is a dark stonewash and there is a glow-in-the-dark skull on it that really adds that “Wow” element. This knife has a pocket clip for your convenience and is 4 3/4” closed. Fat blade. Really sharp and heavy. Love it.